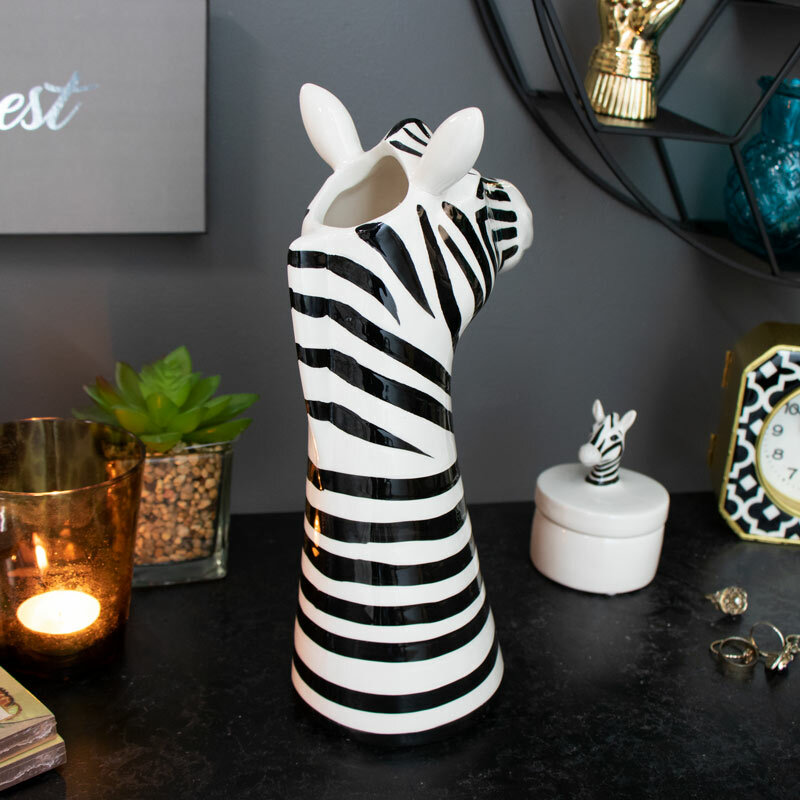 Add a fun and funky look to your home decor with this striking zebra head shaped vase. The perfect way to display flowers and pretty bouquets. This is the perfect gift for animal lovers everywhere. 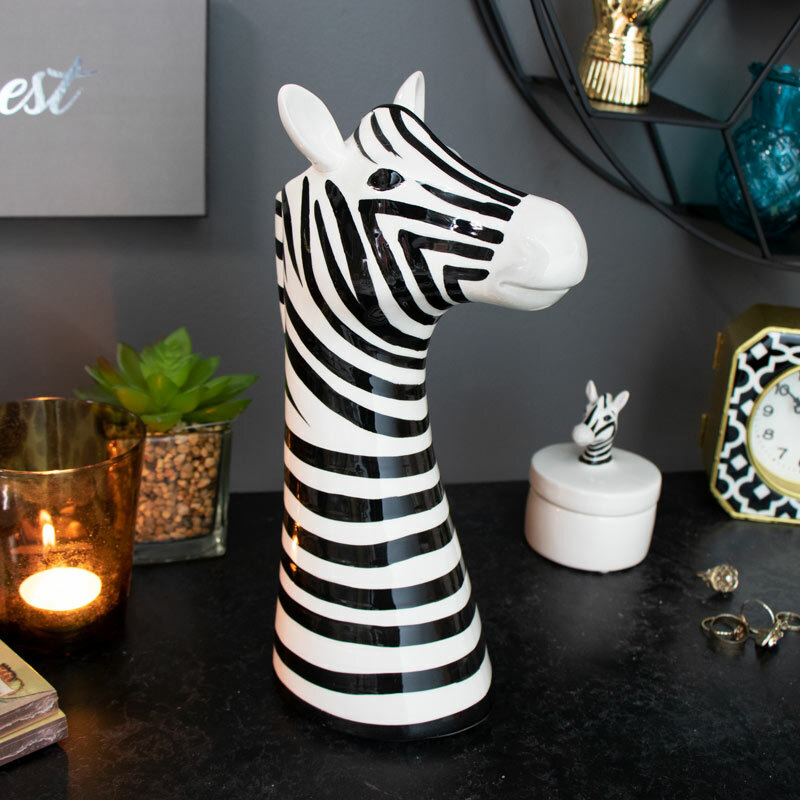 Quirky design in the shape of a black and white zebra head. A quirky little character that will add a fun and charmingly decorative look to your interior. Who doesn't love a zebra, check out our other zebra gifts with more safari friends to choose from. 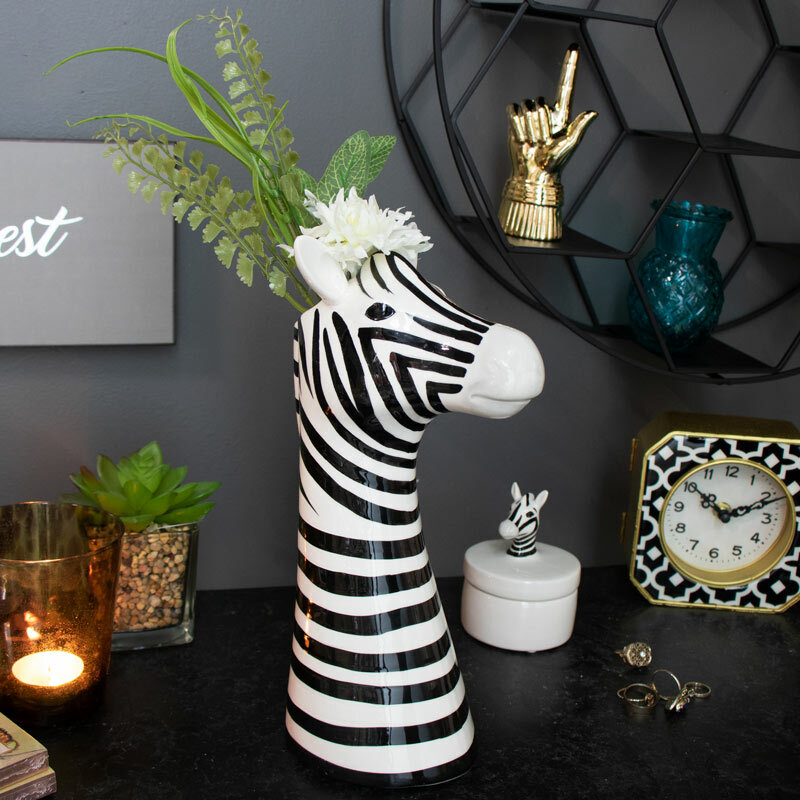 Add a fun and funky look to your home decor with this striking zebra head shaped vase. The perfect way to display flowers and pretty bouquets. This is the perfect gift for animal lovers everywhere. Quirky design in the shape of a black and white zebra head. A quirky little character that will add a fun and charmingly decorative look to your interior. Who doesn't love a zebra, check out our other zebra gifts with more safari friends to choose from. Ceramic ware in black and white with glazed finish. Hole in the top for putting flowers and plants in and adding a delightful look. We have the best range of gift and home accessories for you to choose from. You'll never be stuck for that perfect gift idea again!